Boston is known as a city that is easy to navigate via walking, which is why many people who live in and visit prefer not to have a car. Even if you're not into walking from place-to-place, the city's public transportation isn't complicated and you can find Ubers, Lyfts, and taxis everywhere you look. Most people agree that Boston isn't an easy city to drive in. There is no grid to follow cross roads like New York City, and because most people walk around, there are typically many pedestrians to watch out for in every direction. Not to mention that Massachusetts residents have been nicknamed "Massholes" for their driving skills. The name speaks for itself! Use this guide to navigate driving in Boston and make sure your experience is as easy and convenient as possible while you are visiting. Cell phones: If you're 18 or older, you can talk on your phone while in transit, but you are supposed to have one hand on the wheel at all times. Those under 18 cannot use their cell phone in any way while driving. Not obeying that law will cost them $100 plus a 60-day license suspension. No matter what age you are, the law prohibits writing, reading, or sending text messages while driving and while you're stopped in traffic. This also comes with a $100 fine for first-time offenders. Car rental age: You can rent a car at 21 years old in Massachusetts, but until you're 25, you'll have some restrictions and may have to pay a higher rate. Seat belts: Drivers and passengers age 13 or younger are required to wear seat belts. Children are required to ride in car seats until they are 8 years old or over 57 inches tall. Headlights: You're required to have your headlights on 30 minutes after sunset to 30 minutes before sunrise. If you have your windshield wipers on, even if it is just misting, you are also required to turn your headlights on. Alcohol: It's illegal to drive a motor vehicle if your blood-alcohol concentration is over .08%, which is considered Driving Under the Influence (DUI). Open containers are also not permitted within the car, unless they have been resealed, in which case they can be transported in the trunk or locked glove compartment. Carpool/HOV lanes: There are HOV lanes on highways going in and out of Boston, which are for cars with two or more occupants. Toll lanes: When you go through tolls, there are certain lanes for the E-ZPass, which charges you automatically for tolls. There are now some tolls, such as the Tobin Bridge, that only have that as an option. If you don't have an E-ZPass, you'll be sent an invoice for the amount of the toll (no surcharge). Boston roads frequently get congested, and a GPS doesn't always estimate the correct amount of time even when it tries to take traffic into consideration. Give yourself more time to travel from one destination to another, especially if it's during rush hours. Busy times on the road: Rush hour usually begins around 4 p.m. on weekdays and can last until as late as 7 p.m. depending on the day, though oftentimes it ends earlier than that. Friday afternoons are by far the worst, with traffic both north and southbound lanes clogging up even before 4 p.m. due to people traveling to the mountains, beaches, and lakes for the weekend. In general, traffic can be bad for no reason on I-93 South from Boston until you get to the split to go to either Route 3 toward Cape Cod or to continue on I-93 South, which will get you to I-95 as well. Seasonal traffic: Summer and holiday weekends are even worse than Fridays. While Friday used to be the main day for afternoon traffic, Thursdays have also become quite congested as people head down to Cape Cod and north to New Hampshire for long weekends. Keep an eye on traffic and try to leave during off windows of time, such as late at night or very early in the morning. Sporting events, festivals, and concerts: Similar to seasonal traffic, beware of big events at Gillette Stadium, where the New England Patriots play and many concerts are held, as you'll experience heavy traffic on I-93 South. The same applies in the city when the Red Sox, Celtics, or Bruins are playing at Fenway Park or the TD Garden. Parking in Boston can be a challenge depending on the neighborhood you're visiting or the time or day or even year. There are all types of parking options; below is a breakdown. Winter in Boston can present its own challenges when it comes to parking, especially after there has been a big snowstorm (or five). Pay attention to snow emergencies, and note that in most neighborhoods, once residents dig out their cars, they are allowed to leave a "placeholder" to reserve their street spot for 48 hours after the emergency ends. Also keep an eye out for street cleaning signs, as your car will get towed if you find yourself parked in the wrong side of the street on the wrong day. Parking garages: There are parking garages throughout the city with rates varying, but they're typically the most expensive parking option. Most garages offer early bird specials, meaning you get a discounted rate if you are in and out by a certain time. Parking garages like the ones connected to the Prudential Center and Copley Place offer validation services if you make a purchase, so look out for that as well. Reservation services: Try out a parking app to reserve your spot ahead of time in some parts of the city. SpotHero is one app that can be used to do this. Valet: This is an option at many hotels and higher-end restaurants. Of course, plan to pay more than you would if you parked your car yourself. But there are certainly perks, especially if you're visiting during winter months. Meter parking: This will vary by neighborhood. Some areas are metered parking, and others are free for non-residents on weekends. Pay attention to the signs, and make sure you're planning accordingly with street spots. Should You Rent a Car in Boston? The call on whether or not you should rent a car in Boston depends on what you plan to do while visiting the city. Are you planning on exploring Boston's tourist attractions for a weekend, such as the museums and other sites along the Freedom Trail? And are you staying at a hotel or Airbnb right in one of Boston's neighborhoods? If you're flying into Logan Airport or taking a train or bus from North or South Station and answered yes to the previous questions, you probably don't need a rental car. Boston's MBTA train and bus system is affordable and not very intimidating compared to other metropolitan cities. There are a few key stations that connect the different color train lines, so even if you have to switch, it's easy to see where you have to go on the MBTA map. The bus lines can be more confusing, as there are far more lines and stops. Over the past few years, Boston has gotten more bike-friendly, adding bike lanes throughout the city in addition to programs like the Boston Blue Bikes. This bike share program is great for travelers because you can buy an "Explore Pass," which costs $10 for 24 hours of unlimited use, up to 2 hours per trip. Pick up a bike at one location, and drop it off at another without worrying about getting it back to your original destination. And much like other cities, there is no shortage of Uber and Lyft drivers just waiting to pick up locals and tourists, and taxis are also available, though you may need to direct them to where you are going rather than relying on the GPS connection that Uber and Lyft offer. When should you rent a car? 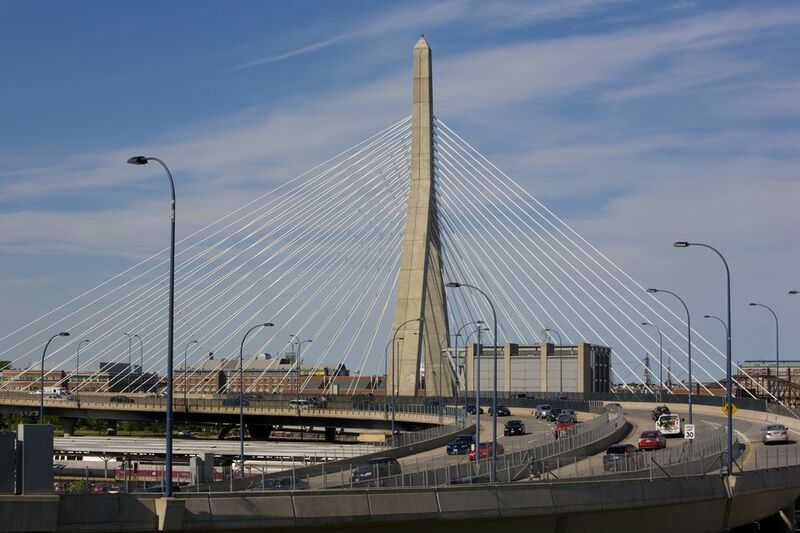 There's plenty to see within an hour or two of Boston, so if you plan to do some exploring outside of the city, or if you're visiting friends or family in suburbs, you may want to have your own vehicle. If that's the case, there are car rental companies by the airport and throughout the city and surrounding areas. If you don't want to rent a car for your entire stay, you could also consider getting a Zipcar, which allows you to rent a car for a smaller window of time, likely from a more convenient location to where you are. Look out for locals. Bostonians aren't known for being friendly (or good) drivers. Be patient as you encounter people who are impatient and honk without reason, just won't use a blinker, or won't stop in a crosswalk. Unfortunately, it's normal in Boston. Yield for pedestrians. Even if locals aren't doing so, you'll see people walking everywhere you go. Unlike other cities, Bostonians will jaywalk, and it is rarely enforced by the law, even in busy intersections. Drive with intention. Boston drivers are more aggressive and less patient than others, so to grab a parking spot or merge onto a road, you might need to be a bit more assertive (but still safe!) than you normally are. Watch out for cyclists. As mentioned previously, Boston is becoming more biker-friendly, but drivers aren't always used to the new bike lane additions. Keep an eye out on your right if you are driving on a street that has one. Use your blinker. Always important and helpful, especially if you're driving like a Bostonian. The locals don't always use them, but it will help you feel more confident as you let other cars know what your next move is.